Thank you, Jessica, and the same to you! Thank you for all you do to make the internet a more faith-filled and inspirational place. May this be a relaxing day filled with family and fun -- may your turkey be moist & tender, your gravy unlumpy and your pies perfect! :D Have a wonderful Thanksgiving Day! Amen. 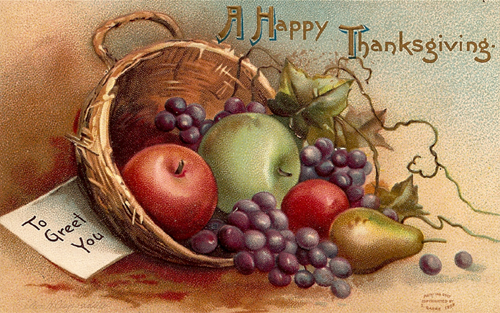 Have a blessed Thanksgiving and a Happy New Year! May God Bless you and your family. Happy Thanksgiving to your family as well. May God bless you and your family today! Happy Thanksgiving to your and your beautiful family! Thank you! And Happy Thanksgiving to you too! What a lovely prayer. Happy Thanksgiving to you and your beautiful family!